Start your day with yoga on the cliffs above the Aegean sea, embark on a picturesque sailing excursion, then relax poolside as you admire panoramic views of the sunset with local wine and gourmet dining. Are you living in a Greek fairy tale? No, you're just indulging at the Canaves Oia Hotel & Suites, a winner of both Trip Advisor's ‘Traveler’s Favorite’ and Condé Nast Traveler’s ‘Reader’s Choice’ awards. 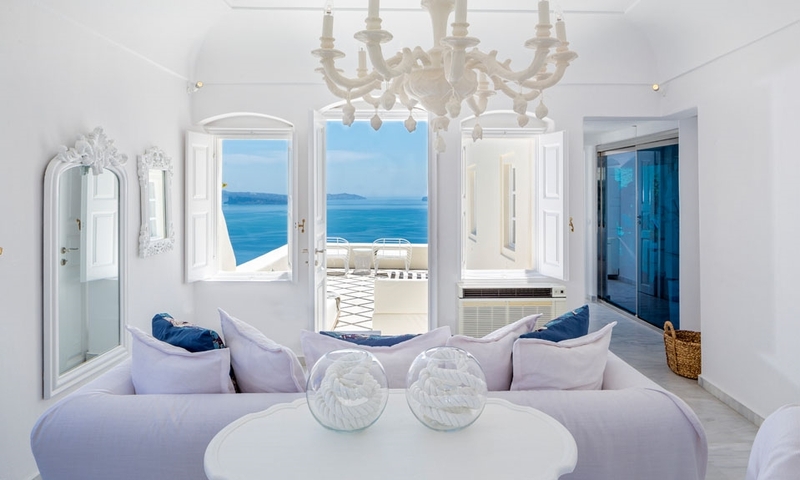 Nestled on the volcanic cliffs of Oia (pronounced ee-a), one of Santorini’s most famous villages, the property stuns with the tranquil blue and white palette you'd expect of a charming Greek island. Choose from a hotel room, suite or villa; each with their own special notes. 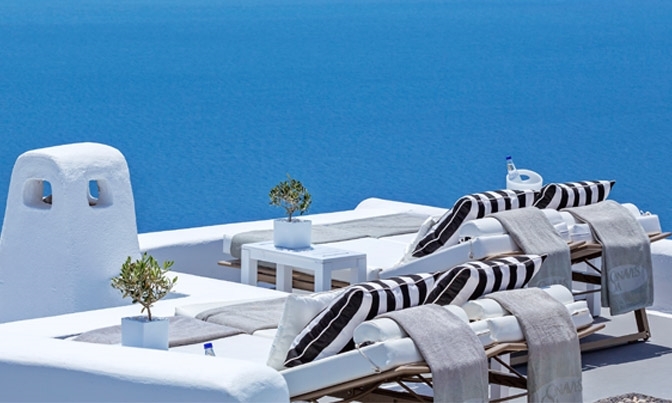 What we love most about Canavas Oia is its juxtaposition of rich history and modern luxury. The recently renovated designer-chic suites were once 17th century wineries and homes. The resort layout practically begs you to experience luxe outdoor living with its breathtaking infinity pool (that's where the chandelier comes in), pool-bar restaurant and plentiful open-air spaces. Indoors, the world-class spa, wine cellar and gourmet dining also don't disappoint. The other thing we adore? Canavas Oia is a Virtuoso property, meaning guests receive VIP treatment when booking through Cadence. Enjoy a welcome bottle of local Santorinian wine, 80 Euro to spend on food & beverages (approximately $90), free daily breakfast for two (in-room or buffet), a complimentary room upgrade and early check-on/late check-out when available. When you snap out of your daydream, we're here to turn this Santorini getaway into a reality! Contact one of our vacation specialists here. Are you living your travel dreams?